Everything you need to know about this year's Pesach that begins on Shabbat and ends on Erev Shabbat. Bitul Chametz removes the ban of finding and seeing Chametz on Pesach. We must consider the chametz as nothing and allow anyone to take it if they want. We worry that we might find cake in our homes on Pesach and eat it by mistake, or that we didn't nullify the Chametz with the proper intention, Therefore we take the Chametz out of our houses for Pesach. When we do the "Bdika" we look for big pieces of chametz ("Ca'zayit"= the amount of a small matchbox) and not crumbs. Midat chasidut is to also search even for crumbs. There is an opinion in the Halacha that Biur chametz is mainly by burning the chametz and not only nullifying, that is why we make a blessing on the Bdika, but have in mind the nullifying. 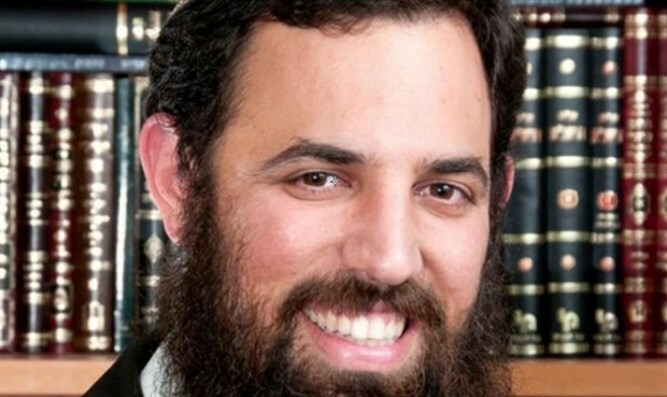 There is no reason to clean the places where Chametz is not brought in or places where you will not enter on Pesach, such as alcoves, underneath heavy furniture and in locked rooms. 3 days should suffice when it comes to cleaning the house from Chametz. As it says above, we are not ridding the house of dust, rather we are ridding the house of Chametz that is found in accessible places. Obviously, whoever would like to turn this cleaning into a "Spring Cleaning" is welcome to do so. Your car should also be cleaned properly because Chametz does enter the car. The same goes for baby carriages/strollers as well as toy boxes. Yards, gardens, open balconies/porches and a room with an open roof do not need any checking for Chametz, but it should be verified that there is no packaged Chametz in those areas. We trust the friendly neighborhood birds to take care of any open food left there. The cleaning of our houses should not come at the expense of our children's emotional well-being. The atmosphere must be pleasant and free from unnecessary stress. It is recommended to include the children in the cleaning process. You should sweep the house before Bedikat Chametz (mopping is also appropriate), and one should look in the pockets of their children's clothing and in books that are brought to the table and opened when food is present. On Pesach, one should more stringent when it comes to Kashrut, even those aren't throughout the rest of the year. This is the rule: 'The Way it Went in is the Way it Comes Out.' This means that a utensils/dish that is used (for Ashkenazim- even once) with fire when it comes to Chametz, it should be kashered with fire/burning to the point of it being 'white hot'. And a vessel that is used with boiling Chametz, (for example, a pot), must be boiled during Hagala. The dish shouldn’t be used 24 hours prior to koshering. Glass vessels – after not being used a day, needs to go through Hagala 3 times. Though it is preferred to use separate glass vessels for Pesach. Sefardim can rinse a glass vessel with water and soap. Marble: cover over it with 2 layers of aluminum foil in the places where a pot will rest on Pesach. Rest of it- clean with soap. Sink: Purchase a tub/basin and place it in the sink or cover the sink with aluminum foil. You can also pour boiling hot water all over the sink but make an effort not to place hot vessels in the sink on Pesach. Oven: don’t use it for a day. Than Clean the oven very well with water and soap/oven cleaner until you do not see any crumbs. Then turn the oven on for 1 hour on the highest level of heat your oven allows. You should buy racks that are used exclusively for Pesach instead of using your standard baking racks that you use throughout the year. Dishwasher: Clean it out well, including the filter. Activate the dishwasher with soap on the full cycle while it is empty. Wait 24 hours. You can also Do Hagala on the trays and the filter, as a good chumra. Plastic Vessels/Utensils: Clean. Wait 24 hours. Do Hagala. Those who are Machmir should do Hagala three times and that is considered best. If there are cracks in the utensil, avoid using it entirely. Baby Bottles: Use new ones. If that’s not an option should be koshered like plastic vessels. Kiddush Cup: Do Hagala or use a new one. Sfaradim need only to wash it. Pans: Do ‘light’ Libun. For Sefradim Hagala is enough. If it is covered with Teflon, don't use it on Pesach. Dining Room or Kitchen Table: Clean the table and change the tablecloth/table covering. Microwave: Clean well. Wait 24 hours. Boil 1/2 Cup of water with soap in it in the microwave. If there is a glass tray inside, take the tray out and use the microwave without the tray or do hagala 3 times after waiting 24 hours. Plata: It is best to purchase one that is used exclusively for Pesach. However, Meikar HaDin, it is permissible to use it after it has been on maximum heat for an hour and covered with 2 layers of aluminum foil. Ventilating Hood (over the stove-top): It is best to avoid using it entirely. Meikar HaDin, you may use it after boiling water has been poured on it. Pantries/Cupboards: Clean with a damp cloth. If it’s very difficult, and you will not be using it on Pesach, close it up and sell it when you sell your Chametz. Refrigerator: clean with soap. Do a general cleaning so that there is no Chametz in it. There is no need to go over it with a toothpick or to pour boiling hot water on it. Computer keyboard and Mouse – Many people eat Chametz by the computer year round. Therefore, you should shake it out upside down, and preferably wipe it down with a wet cloth as well. Cellphone- clean it with wipes. Eggs: are allowed, despite the stamp on the egg. Pills that are to be Swallowed: If the pill has a taste to it, it needs a hashgacha. If it is bitter, it can be taken on Pesach. In any case it is best if it is kosher for Pesach. Soap/Shampoo/Perfume/Aftershave/Makeup: These can all be used on Pesach, even without a hashgacha (but it is 'מידת חסידות' to purchase these items without any chametz in them) . Toothpaste: Must have a "Kosher for Passover" hashgacha. If there is no other choice than you can use one without a Hechser. Baby Food: Must have a "Kosher for Passover" hashgacha. Egg Matza: Do not eat. Sephardim can eat. When it comes to ‘Papushadu’ store bought cookies it is better to be Machmir and not eat them on Pesach, even sephardim. Milk : there is no need to purchase before Pesach. It is best to be stringent on Pesach and to eat store-bought food for Pesach after you make sure that there is a good Rabbanut hashgacha and not unknown supervision or that you are unfamiliar with. The Aruch HaShulchan says: This prohibition is one which our ancestors took upon themselves as a measure to protect themselves from accidentally eating Chamets and it is therefore important to uphold this prohibition. Those who have doubt and are lenient and choose to disregard the prohibition of eating Kitniyot. are demonstrating that they do not have Yirat Shamayim and Yirat Chet and that they are not knowledgeable in the ways of the Torah. All Ashkenaz countries along with France, Russia and Poland, established and took upon themselves this stringency which has solid meaning and a basis to it-' 'ופורץ גדר ישכנו נחש. It is therefore prohibited for Ashkenazim to eat Kitniyot on Pesach. Most members of Eidot HaMizrach have the custom of eating Kitniyot and they, therefore, do not have to refrain from eating them. Whoever eats at the house of Sephardim, should not eat actual Kitniyot products but it is permissible (according to most of the poskim) to eat products that have been cooked in vessels that have absorbed Kitniyot. the Kitniyot that are not allowed are 1- only the ones that were included in the original ruling (-rav feinstein) and 2- do not come into contact with water during their preparation (-rav kook). If one of those conditions is not present, it is still permissible to eat them on Pesach. Therefore, Rapeseed/Quinoa/Soy are not considered part of the prohibition of eating Kitniyot, because they didn't exist during the time when our ancestors creating the Kitniyot ruling. Kitniyot oil that has been dry pressed, HaRav Kook allowed it to be eaten on Pesach, as long as it has never been in contact with water. That is why Canola oil and the like are permitted. Store-bought food items, that have Kitniyot in them (in a case where Kitniyot are not the majority in the product) that were made before Pesach, can be eaten according to some opinions where there is a great need. It is permissible to give Kitniyot to your pet on Pesach. After Evening prayers, Arvit, check for Chametz by the light of a candle with a Bracha, as it is written in the Siddur. You shouldn’t start a meal or a task half an hour before nightfall. You should check all of the places where it is likely to find Chametz, including your car (with a flashlight). You shouldn’t talk throughout the Bedikah. After the search, you said ביטול חמץ in the Nussach that appears in your Siddur. You should understand what it is you are saying and say the Bitul in words that are simple and understandable for the person nullifying the Chametz. The Nullification is the essence of the Mitzvah and therefore you must devote time and intent to what you are saying. On the morning of the following day, there will be a Siyum Masechet at most shuls for the first-born men who are fasting. After the burning you say Bitul Chametz again, according to the way it is written in your Siddurim, with a clear understanding of what you are saying and your purpose for saying it. During the day, do not eat Matza. After Chatzot, do not do tasks such as laundry, since we are to be busy with Korban Pesach (when Beit Hamikdash is built). Tasks needed for Pesach (לצורך) or in case where refraining from them can cause a big financial loss; are allowed. It is good to daven Mincha early and they say ‘seder Korban Pesach’. 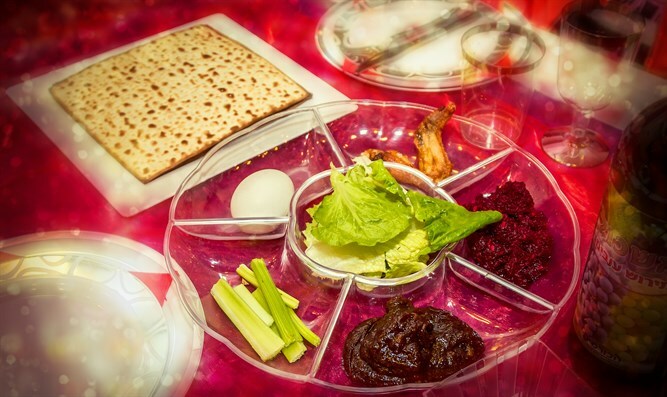 Prepare the table for the Seder. You should buy Shmura Matza for Seder night. Candle lighting – the brchaot are: "להדליק נר של שבת ויום טוב" and "שהחיינו". It is best to have big enough candles that will last throughout the whole Seder. On the night of the Seder, focus on remembering the slavery and remember the redemption and tell your children about it. The main point of the holiday is transmitting the message of our transition from slavery to freedom to the next generation. Every single person is required, according to the Torah, to eat at least a כזית of matza. It is our custom to eat 2 כזית portions at the start and then a portion during כורך and then a portion during the Afikoman. The size of the כזית portion is the size of the volume of a Syrian olive, a large modern-day olive, which is the size of half of a prepared Matza (for sfaradim- 30 gram). One should try to swallow the two כזית portions quickly, if possible, albeit politely and try not to wolf it down. If, within 4 minutes, 2/3 of a prepared Matza was eaten, one has fulfilled the Mitzvah. One should eat the Matza and drink the cups of wine while leaning. It is appropriate also for women to lean, but they are not required to do so. Drink 4 cups. From each glass, a 'רביעית' should be drunk. The volume of רביעית is about half of a disposable cup. Ideally, it is best to drink the רביעית in one gulp. If this does not happen, the רביעית should be drunk within 4 minutes. It is a common custom that the children hide/seek the Afikoman and then receive a prize for it. This is done to adore the mitzvah to them. After the eating of the Afikoman, nothing else should be eaten. It is permissible to drink. The Afikoman should be eaten by midnight – 00:37. It is appropriate to prolong telling the story of יציאת מצרים and there are those who do so until the morning. Shacharit of Shabbat and Yom Tov. Tfilat Tal. If Morid HaTal was forgotten and it was remembered before you reached the end of the Bracha, go back to the beginning of the Bracha. If not, go back to the beginning of the Tefila. Second Day Yom Tov – a guest visiting from abroad – only has to perform the Mitzvot from the Torah, and is allowed to do Rabbinical מלאכה. It is our custom not to use Tfilin on Chol HaMoed. You should not work on Chol HaMoed. Although, if you will lose your job as a result of not working, you are permitted to work. Whoever has to work on Chol HaMoed, he is allowed to work in a place that has not been deemed Kosher for Passover. Just don't sell actual Chametz. Do not shave or get a haircut during Chol HaMoed. But, those who make sure to shave every day during the year, and if they will not shave on Chol HaMoed, will be bothered by the itchiness or discomfort, is permitted to shave on Chol HaMoed. Do not do laundry on Chol HaMoed , unless you run out of clean cloths for babies. Until the 33rd of the Omer, one should not get married; have a haircut or shave. If you are invited to a wedding you can attend. During the days of Sefira, refrain from listening to loud, merry music. During this period we are mourning the death of Rabbi Akiva’s Talmidim. 'Regular' music, with some merriment to it, like the songs played on the radio, is permitted. However, one should refrain from listening to live music. On Yom Haatzmaut, one is allowed מלכתחילה to get a haircut and shave and listen to merry music and even live music. On the morning of the 33rd of the Omer, one is allowed to have a haircut and shave. Sephardim can do so on the morning of 34 of the Omer.